As the rapid evolution of science and technology continues to transform the way the world works, equipping students with a strong foundation in the basics of science has now more than ever become a necessary life skill. As such a hands-on education in science is helping young students, especially in Palestine, develop the skills to not only become future problem solvers and critical thinkers but to realize their full potential as the future innovators of Palestine. With a background in Biology from Al-Aqsa University, and extensive teaching experience, Ruwaida Amer, a Palestinian based out of Gaza, decided to turn her passion for all things science into a mission and in 2014 founded the startup, Innovators in Science. Rather than relying on outdated teaching methods, Ruwaida is determined to help young students in Gaza learn about science in an interactive and fun environment, “As teacher, I love teaching children and changing their view of science, so I trained them with scientific activities and the implementation of experiments in a simple manner, training them to become leaders in scientific laboratories,” says Ruwaida. "There are scientific laboratories in schools that students rarely enter or use, so they have no knowledge about the use of laboratory tools and how to carry out experiments and scientific research. But after the trainings I give, students start to have a love for science and show a passion for scientific experiments in school and at home,” says Amer. In order to fully engage and reach out to students (usually between the ages of 5-16), Amer initially begins by training to learn how to approach the field of science creatively and innovatively. The training then creates the ideal conditions for students to scientifically address some of the most pressing issues affecting their society, all while providing them with the tools to further develop their problem solving skills. The implementation phase then follows, in which scientific experiences and activities are conducted during a training period, especially those that cannot be implemented in schools. Finally, after the completion of the training and the implementation of all scientific activities, a science exhibition is set. The Exhibition features all the activities, projects and research conducted by the children to a host of parents, teachers and relevant community stakeholders. It is important to note that all experiments and activities are conducted in schools and educational institutions. Innovators in Science is giving students the tools and materials needed to delve into the world of science and become scientific explorers in their own right. With a wave of enthusiastic feedback and the full engagement of students participating in the activities, Amer is continuously adding and developing new interactive experiments to share with eager young students. 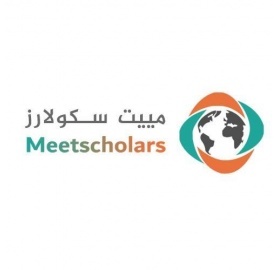 In order to expand her outreach and continue to generate interest amongst students and educators alike, Amer maintains a strong social media presence to share her work within the field of science, including all relevant experiments, research, activities and even exhibitions. As a result, Amer has become well-known for her innovative take on science education and frequently invited on local media outlets to share her mission to support a new generation of problem solvers, who innovate and create within the field of science. Amer’s ambitions are propelling her to reach for new heights, as she is striving to one day open a science and technology center of her own, she says, “I love science a lot, and when I graduated I dreamed of creating a scientific and technological center specializing in the integration of science with technology and programming, which even includes a biological museum. But I have not been able to do this, so I carry out all activities in schools and educational institutions.” Amer is aiming to create a scientific center driven by working graduates, that not only teaches science utilizing advanced methods but a center that promotes scientific thinking amongst students. Dedicated to further developing her skills, Amer hopes to gain the opportunity to travel abroad to participate in trainings and share her newfound skills with others. Since the establishment of Innovators in Science, Amer has been at the forefront of change, she has managed to train hundreds of students, ultimately changing their outlook on learning and instilling a sense of passion and enthusiasm for all things science. With the right resources, support and international recognition, Amer will be able to unlock the hidden potential of hundreds of young Gazan students to become the innovators of tomorrow and create a better Gaza for all. In terms of impact, Innovators in Science is actively promoting the identification and implementation of scientific solutions empowering the youth of Gaza with the skills needed to work out the most prevalent issues affecting thousands of Palestinians each day. “In terms of social development, children learn to work as a team to achieve scientific goals, succeed in them and integrate all age groups into training. Economically speaking, if we implement a special center for science, all educational levels will be received for the work of scientific research and studies,” Says Amer. 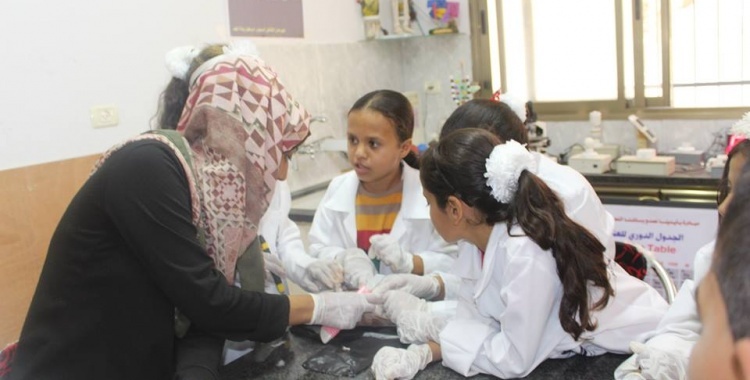 She continues, “Furthermore, the presence of the biological museum will be a great addition to the city, and welcome foreign visitors to learn about the work of the creative students in science in Gaza. I also aim to conduct scientific activities in the museum and using virtual reality, to let students use smart devices for useful purposes and learn better through them."